Secure your place today for Europe's largest small animal Congress, 7-10 April 2016. 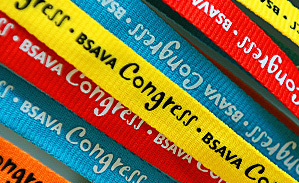 Now in our 59th year, BSAVA Congress has embedded itself into the bedrock of the small animal veterinary calendar. After 2 years of planning, by dedicated members of the veterinary profession, we are delighted to open registration to Congress 2016. Next year Congress will bring a cutting edge programme of over 350 lectures and practical sessions packed into 4 days of development, learning and discussion. This, coupled with an extensive exhibition of over 250 of the industries finest companies and amazing social programme, means there is only one place you should be in April 2016. We hope to see you there!